2018 Exmark ECS180CKA30000 for sale in Lafayette, LA. Sammy Broussard Equipment Center Inc.
Reach new heights, and widths, in productivity. Don't let its size fool you. 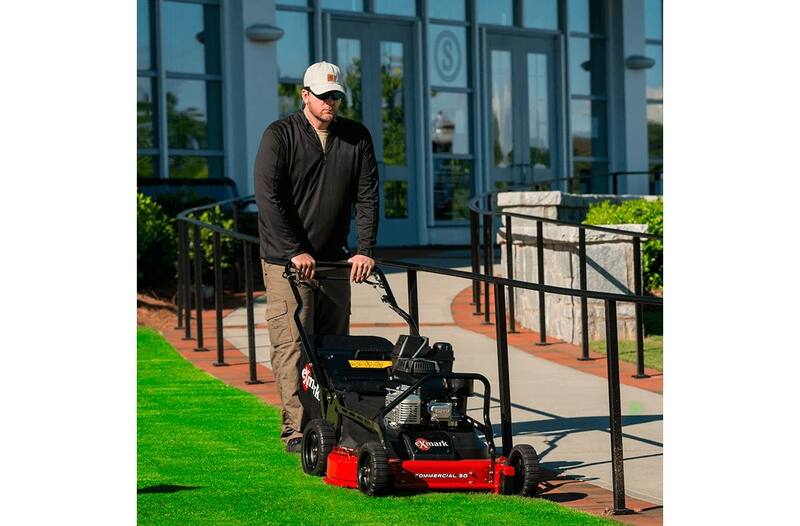 Our Commercial 30 mower is deceptively light and easy to maneuver. In fact, it feels and handles much like its Commercial 21 counterparts, incorporating a single-speed transmission and our patented front-height adjusters. 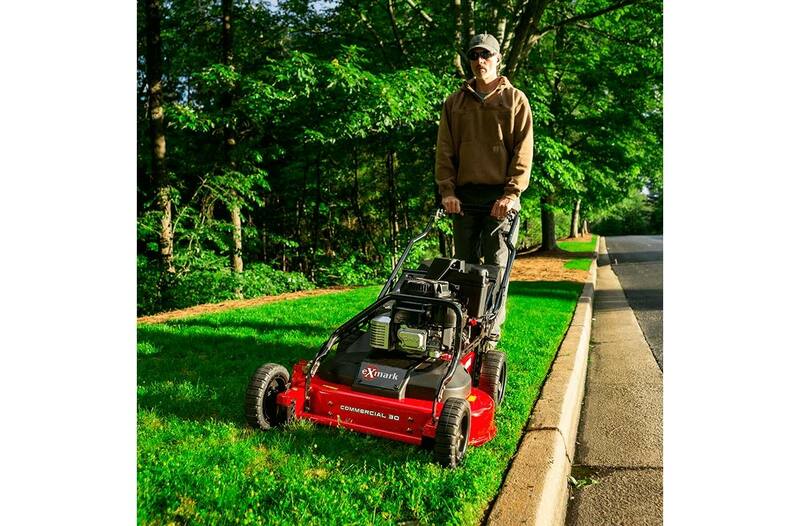 The major difference: its 30-inch cut delivers up to a 40% increase in cutting efficiency compared to a standard 21-inch mower—without wearing out the machine or its operator. 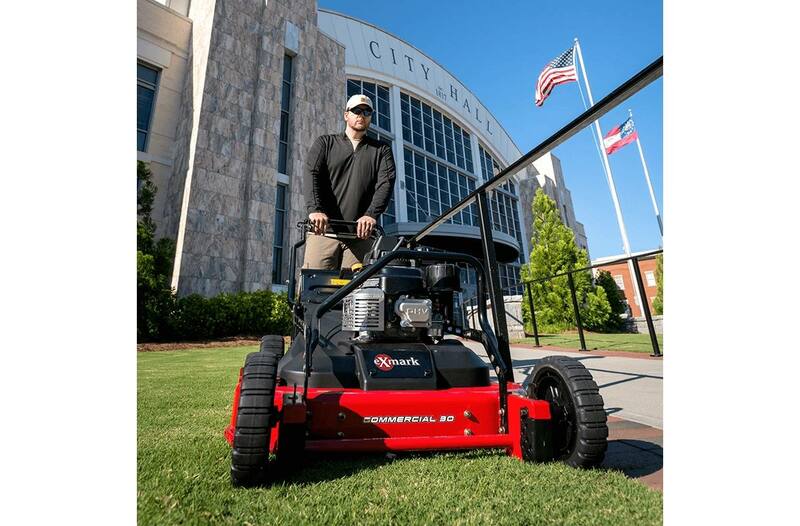 Twin-Blade Efficiency: The Commercial 30's timed blade system keeps the overall design compact while delivering a superior cut. It also reduces the horsepower requirement. 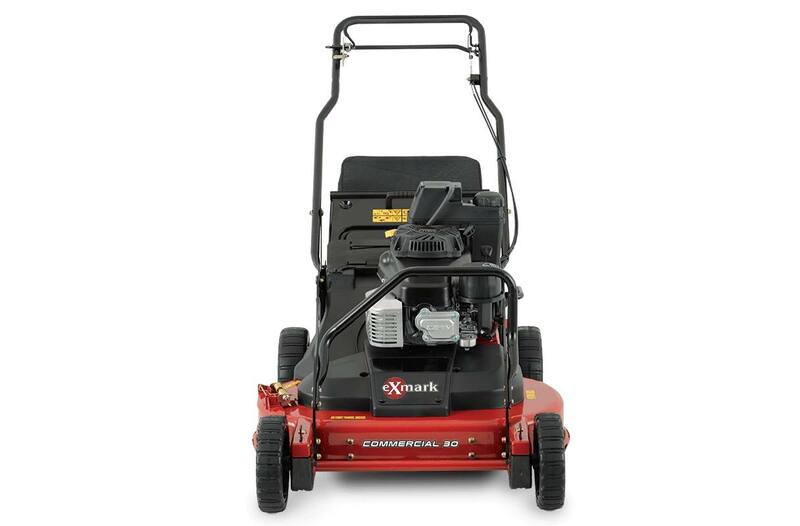 Simplified Maintenance: Its access panel makes for easy belt and blade adjustments. And less time in the shop means more time on the job. 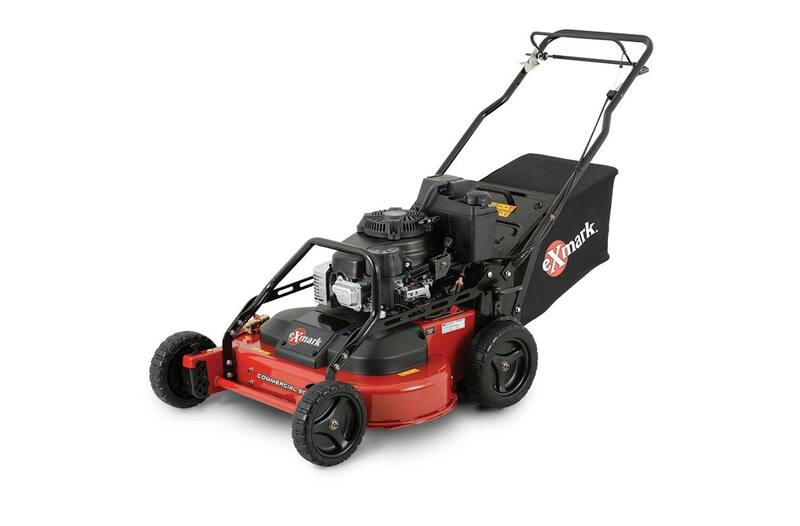 Heavyweight Performance, Lightweight Handling: Unit weighs more than a 21", but operator will not see additional fatigue in operation due to balance of unit and increased coverage. 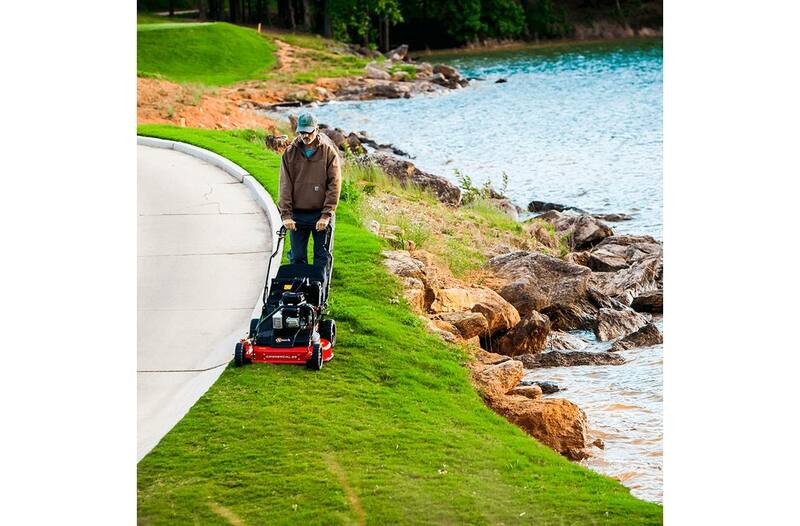 Productivity: Improve productivity, increase control and manage costs with a deceptively light walk-behind mower. Holds Side-Hills: Positive drive transmission holds side-hills and helps prevent downhill “run-away". 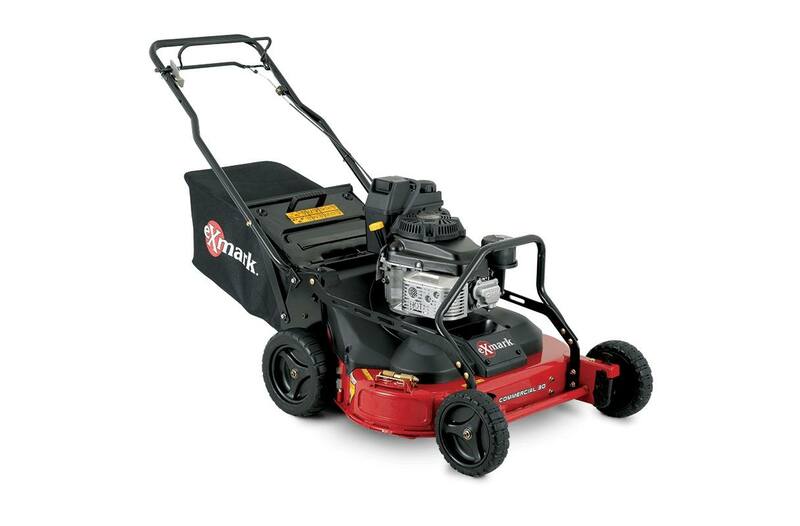 Drive Description: Self-propelled, rear-wheel gear-driven. Speed: 0.0 mph to 4.0 mph (6.4 kmph) forward. Deck Style Description: Fixed deck, Rear-discharge bagger with option to mulch or side discharge. Cutting Heights: 1.5"(3.8 cm) to 5.0" (12.7 cm) in 0.5" (1.3 cm) increments. Blade Tip Speed: Approximately 18,350 fpm.